NDPTC's cadre of instructors are of the highest caliber, very well-respected in their fields and disciplines. Many have advanced degrees in science, engineering, planning, and architecture, and years of practical experience as leaders within their field of expertise. Don Aweau is currently employed with the State of Hawaii Department of Hawaiian Home Lands, which oversees a trust for Native Hawaiians, an indigenous people of the Hawaiian Islands. He has worked in many different fields in the private and public sector. His former stints include time spent in the military, air cargo, airline, internet, sports entertainment, insurance, retail, government and law professions. His passions include fly-fishing, social media, politics, history, blogging, writing, sports and spending time with his family. He is well-rounded as he has also lived and traveled in several parts of the world. Thus, with his unique mixture of multiple personal and professional experiences, he appreciates, understands and values, the various world cultures when talking about natural disasters and the importance of emergency preparedness. He has encountered almost every aspect of natural disasters including hurricanes, typhoons, earthquakes, blizzards, tsunamis, tornadoes, floods, and more, to create a foundation for his teachings. Don Aweau is a graduate of Kalani High School and received his Bachelor of Arts from the University of Hawaii in Honolulu, HI. Amanda Ball serves as the Safety Officer and Outreach Coordinator for MedFlight - A non-profit, critical-care transport provider with 9 Helicopter bases and 3 Mobile ICU bases throughout Ohio. She is trained as an Operational Control Specialist that has dispatched over 6,000 transports in her career. Amanda is an Advanced EMT and Continuing Education Instructor for the State of Ohio, and has provided lectures, on behalf of MedFlight, for Fire/EMS personnel, EMA officials, security departments, SWAT teams and FBI teams. With 16+ years experience in EMS, Amanda focuses her education efforts on the public service & health care arenas, and has served as a consultant for large non-profit hospital systems in Ohio, as well as other Helicopter EMS programs nationwide. Amanda lectures nationwide on the benefits & uses of social media in the Fire, EMS, and hospital setting... topics including communications management, promotion of industry safety, brand identity, fundraising efforts, community engagement, and more. Amanda attended the undergraduate programs at The University of Toledo and The Ohio State University, and received her EMS training at Columbus State Community College. You can follow MedFlight's social media activity at @MedFlightOhio. David Barker has served with the Idaho Falls Police Department since 1992; has been certified to serve as a Law Enforcement Officer (LEO) at the Idaho Falls Regional Airport since 2008, and currently serves as IFPD’s Logistics Officer and UAS Team Lead. David has been involved with radio control (R/C) model aircraft and a member of the Academy of Model Aeronautics (AMA) for over 30-years, has served as President of a local R/C aviation club for the past 13-years, and is an instructor for both organizations. In 2010, given his involvement and insight into the R/C hobby, David began researching the developing UAS technology and the relating regulations, specifically as to how the emerging technology might be used in public safety, and gave his first presentation about using “drones” to the department heads. David waited (somewhat patiently) for the Department to see the benefit us utilizing UAS technology, and once a program was approved, has worked to build the department's UAS program from scratch. 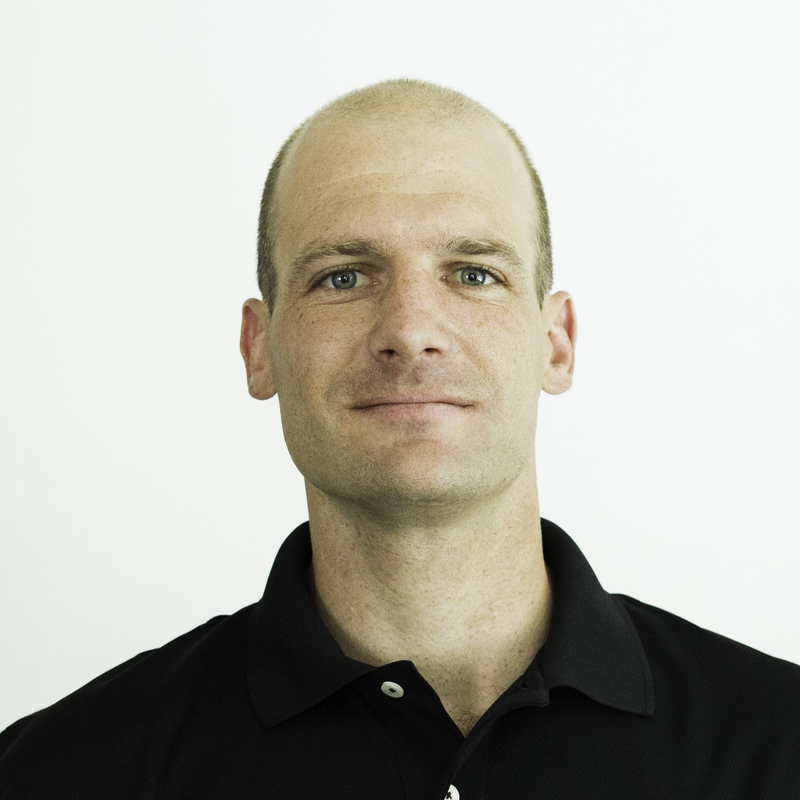 David is a certified instructor by Idaho Peace Officer Standards and Training (POST), focusing on Unmanned Aircraft Systems (UAS), is an FAA certified Remote Pilot with a sUAS rating and currently serves as the Administrator of the Idaho Public Safety UAS Council. Tom Bedard is a meteorologist and Implementation Manager at AccuWeather Enterprise Solutions in Wichita, Kansas. At AccuWeather, Tom operates as an emergency management consultant for over 600 companies across North America and Europe. He previously served as a Knowledge Center Analyst for Risk Management Solutions and as a Course Development Program Coordinator at NDPTC. During his time at NDPTC, he participated in the development of AWR-326, 331, 332, 347, 356, and E0102 (2016) as well as the redevelopment of AWR-308 and 310. Tom serves as the incoming chairperson of the American Meteorological Society’s Committee on Emergency Management. He holds a Bachelor of Science Degree in Meteorology from Penn State. His operational response background is in emergency medical services, technical rescue, and firefighting. David Blake is currently an aviation meteorologist for The Weather Company in Dallas, TX providing daily forecasts and update briefings for several domestic commercial airlines. David gained his aviation meteorology experience as a former U.S. Air Force meteorologist, serving eight and a half years in the military. During his service, he gained experience forecasting severe weather in the continental United States, briefing aircrews throughout the world on in-flight weather hazards, and discussing weather impacts for military operations in Iraq and Afghanistan. He later became the operations superintendent and training supervisor of a weather squadron at Wheeler Army Air Field. David separated from the Air Force in 2012 to finish his bachelor’s degree in the science of meteorology. He graduated in May of 2016 from the University of Hawai’i at Manoa. While attending the university, David also spent time as a research assistant for the university’s geography department. This research included investigating the effects a strong El Niño event in the summer of 2015 had on the tree line on Haleakalā on the island of Maui. Growing up in Kenosha, Wisconsin, David was exposed to severe storms rolling through the Midwest, which fueled his fascination with weather patterns and the atmosphere. During the summer of 2014, he spent time as an intern for the WGN Weather Center and news team in Chicago, Illinois where he assisted the chief meteorologist in preparing for the evening broadcast. David plans to continue his career in aviation meteorology for The Weather Company. Currently, Bobel serves as a Public Information Officer with the Division of Emergency Management in Lexington, Kentucky. He handles day-to-day public information duties for the division, including social media outreach. Bobel serves as a member of the ten-county Chemical Stockpile Emergency Preparedness Program (CSEPP) public affairs team which manages education, information and emergency response public information for the CSEPP program. Prior to joining government service, John Bobel worked in broadcast and on-line journalism and public affairs. His career extended through every aspect of news, broadcast station operations, media relations, emergency and conventional public information and social media systems. He was Managing Partner of MediaVentures – a national communications consulting firm. His clients included CNN, Faith and Values Media and Blue Grass Airport. 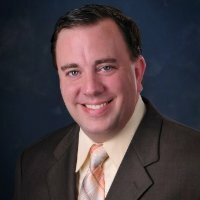 He also served as the Manager of Program Operations for the Massachusetts Corporation for Educational Telecommunications (MCET) where he upgraded program production standards, techniques and overall operations. Bobel was Vice-President and News Director of WKYT-TV, supervising the day-to-day newsgathering efforts and long-term planning for the news department. Prior to WKYT-TV, Bobel was an account executive for McHugh and Hoffman, Inc. As a broadcast news consultant, he has worked with television stations and other broadcasting companies to improve their editorial content, market position and image. Bobel has worked in television newsrooms in Indianapolis, Boston, Baltimore and Denver. He is co-founder of KCOU-FM and founder and President/ CEO of Travelago, a streaming video and information provider to the Internet travel industry. Bobel graduated from the University of Missouri School of Journalism. Thomas Bogart was the Fire Chief/Emergency Management Director of the Lynnfield, MA Fire Department. Thomas served thirty years in the fire service. Bogart graduated from the United States Fire Administration's Executive Fire Officer Program at the National Fire Academy and received his EFO designation in 2011. He holds the Chief Fire Officer Professional Designation from the Center for Public Safety Excellence's Commission on Professional Credentialing. He was chosen to be a Member of the prestigious Institute of Fire Engineers, he is allowed to use the honorific post-nominal subscript of MIFireE. Bogart was also credentialed as Fire Chief by the Massachusetts Fire Service Commission. Bogart graduated from the Donohue Institute of the University of Massachusetts’ Chief Fire Officer Management Training Program. Thomas taught and served on the Instructional Staff of the Massachusetts Firefighting Academy for over twenty years. He is an Instructor for the U. S. Fire Administration’s National Fire Academy. He is an Adjunct Faculty member of Bunker Hill Community College, North Shore Community College, and Anna Maria College. He is a former President of the Massachusetts Institute of Fire Department Instructors. Chief Bogart is a member of the International Association of Fire Chiefs/Federal Emergency Management Incident Management Response “Go Team” representing FEMA Region I.
Dr. Phillip Bothwell is a meteorologist with over 37 years of experience in the National Weather Service. He worked at the National Severe Storms Laboratory as well as local and regional Weather Service Offices. The last 25 years of his work with the NWS was as Senior Development Meteorologist for the Storm Prediction Center. Phillip developed new computer applications used in forecasting for severe weather, winter weather and fire weather, and periodically conducted training on forecasting techniques. In addition, he worked the SPC forecasting desks. This included issuing forecasts for severe and other hazardous weather across the lower 48 states. His degrees are from the University of Oklahoma. Before his retirement from the SPC, Phillip’s work included using and evaluating a wide variety of the computer forecast models, satellite and radar systems and numerous other observing systems used by forecasters. He also assisted in incorporating this data into the computer workstations used by the meteorologists. 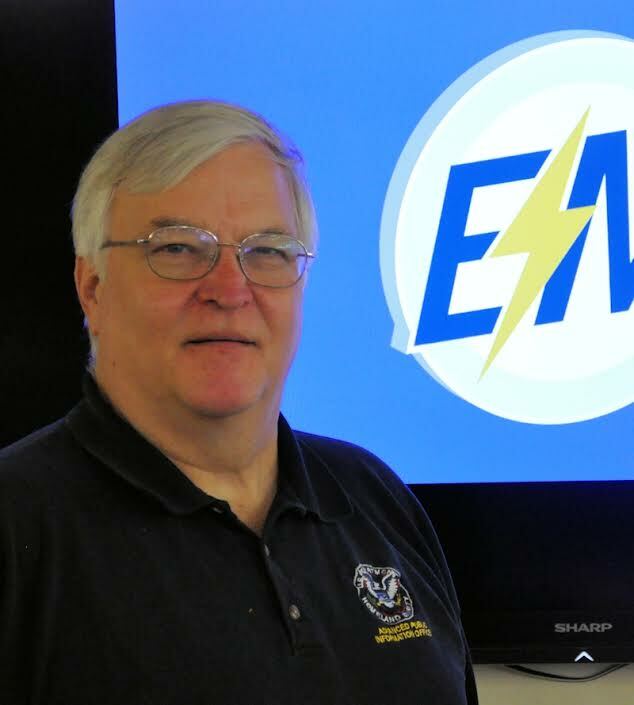 He has been heavily involved with the major lightning observing systems in the U.S. and has developed techniques for the prediction of lightning including authoring and lecturing on articles related to lightning. Since retiring, Phillip has continued his interest in following daily weather events. He returned part time to the National Severe Storms Laboratory to assist in a study of lightning and satellite data related to severe weather. He also enjoys interacting with students and other instructors in a variety of FEMA classes. Ted Buehner retired from the National Weather Service (NWS) after a more than 40 year career from 1977 to 2018. His last position for 23 years was as the NWS Seattle Warning Coordination Meteorologist, a key customer liaison position, providing decision support services in working toward enhancing the “end-to-end” forecast and warning system by more closely tying the agency's mission of protecting lives and property, and enhancing the region’s economy, with its partners and customers, such as emergency managers, the media, and the marine community. Now in retirement, he continues these efforts to make a difference in helping protect his community through various local committees such as the Washington State Emergency Communications Committee (Vice-Chair), and the Partners in Emergency Preparedness Conference Committee. He also works with Emergency Management Group – Washington, who supported the 2018 Special Olympics USA Games in Seattle and Seafair events with pre-event exercises and operating in the EOC in a weather support role. In addition, he works with the two Everett radio stations doing commute time traffic and weather, sports reporting, and producing weather minute Podcasts. He also volunteers with Snohomish County DEM and is also a licensed amateur radio operator with the Snohomish County ACS. His TornadoTed business permits him to assist other organizations with training, exercises, and other activities. Ted has a Bachelors of Science degree in Atmospheric Sciences from Oregon State University. Go Beavs! Dave Bujak is currently the Emergency Preparedness Manager for the University of Rochester (NY) and the UR Medicine system, serving in both the higher education and healthcare sectors. Prior joining UR, Dave served as a professional emergency manager for over 20 years in Florida: 10 years as the Director of Emergency Management for Florida State University; 7 years for the Florida Division of Emergency Management in both the Operations Section and Critical Infrastructure Unit. ; 4 years with the American Red Cross. He also was a volunteer firefighter in Chaires-Capitola, Florida from 1999-2007. He has a Bachelor of Science degree in Civil Engineering from Embry-Riddle Aeronautical University and a Master of Public Administration from Florida State University. He holds a graduate certificate in Emergency Management from FSU and is a certified Florida Professional Emergency Manager (FPEM). Dave has responded to dozens of presidentially-declared disasters in various capacities over his career, including the infamous Florida hurricane seasons of 2004 and 2005. Dave coordinated FSU’s response to Hurricane Hermine in September 2016. Dave has also responded to numerous campus and local events and emergencies. Most notable is the November 2014 shooting at the FSU Strozier Library. Dave is considered a leader in his field with respect to emergency notification and warning systems, use of technology and social media for public education and outreach, higher education emergency management and proactive use of weather systems. Dave is a leading contributor to the development of WeatherSTEM, a mesonet of 200+ weather systems throughout Florida and the United States. He has served as an advisor to the U.S. Department of Education – Office of Safe and Healthy Students. He is a regular contributor to Campus Safety magazine. Marc Burdiss CEM MEP M.Ed serves as the President of Preparedness Solutions, Inc. He specializes in helping others prepare for, respond to and recover from emergencies and disasters every day through exercises and consulting. He routinely meets with local, state, federal, and tribal emergency managers to train, plan, and exercise for emergencies. Marc has earned the International Association of Emergency Manager’s designation as a Certified Emergency Manager (CEM). Mr. Burdiss is also recognized as a FEMA Master Exercise Practitioner (MEP) and has experience designing and facilitating exercises ranging from county, state, and federal level, to military and Major League Baseball exercises. Prior to starting his own consulting company, Marc worked as the Director of Emergency Management for Northern Arizona University. He has served as the Director of Homeland Security and Emergency Management for Shelby County, Ohio as well as one of eight Field Liaisons for the Ohio Emergency Management Agency. In this role, he responded to disasters statewide, administered Emergency Management Grants for eleven counties and helped new EMA directors learn what was required in their positions. Mr. Burdiss has a Bachelor’s degree in Emergency Management and Planning and a Master of Education in Educational Leadership. Mr. Burke is the currently a self-employed management consultant focusing on helping organizations strengthen operations through human resource development and training. He is a certified trainer for the National Disaster Preparedness Training Center’s (NDPTC). He recently served as Associate Director for Course Development & Delivery. In this position he was responsible for all aspects of course development and delivery of the NDPTC program. He has also served as the Mass Transit Administrator in the Department of Transportation Services, City and County of Honolulu. As the Mass Transit Administrator, Mr. Burke was responsible for service and capital planning, management and oversight of the public transportation operations for the City and County of Honolulu including the fixed route TheBus system, TheHandiVan paratransit system, and park-and-ride facilities. Mr. Burke graduated from the University of Hawai‘i in 1985, B.A., Economics. He served as Chair, Title VI and Environmental Justice Subcommittee, American Public Transit Association (APTA) 2010, and Interim Chair APTA Emergency Preparedness Technical Forum. Bonnie Canal, MBCP is an internationally recognized leader in both community and business resilience innovations and strategies. This is achieved by engaging the entire business’s entire organization and with a keen focus on the key leadership personnel. Bonnie has over 30 years’ experience the Information Technology Sector with the last 12 specializing in Business Resilience. Bonnie was inducted into the Order of the Sword & Shield National Honor Society at St. John’s University, New York City for her work in Business Resilience. Bonnie is the Immediate Past Chair of the Association of Contingency Planners where she served for 6 years. She is a proud native of New Orleans and has experienced what she calls, “The Katrina, Rita, Ike, Gustav, and BP Oil Spill” disasters first hand. She has had to learn how being resilience leaders and businesses to increased performance, achieve stronger relationships, and build mental toughness that we all need in today’s ever increasing busy world. Rita Castonguay Hunt is the chief instructor, a pilot, and project manager at a Unmanned Aircraft Systems (UAS) commercial services company based in NH where she specializes in both manned and unmanned aviation operations, project development, and business development. She is the designated “Drone Pro” for the FAA Safety Team for both Maine and New Hampshire. Rita is considered an industry expert in UAS regulations. Prior to working in the UAS industry, Rita was the aviation planner, pilot and FAA-certified airport safety inspector for the state of New Hampshire. Where she was responsible for the safety inspections of the state’s 23 public-use airports, responded to aviation related accidents as a subject matter expert on behalf of the State Police; and acted as state liaison to both the FAA and NTSB. Rita graduated from Daniel Webster College with a Bachelor of Science degree in Aviation Flight Operations and a Master's in Business Administration. She is a certificated commercial pilot and flight instructor, as well as, certificated part 107 remote pilot. 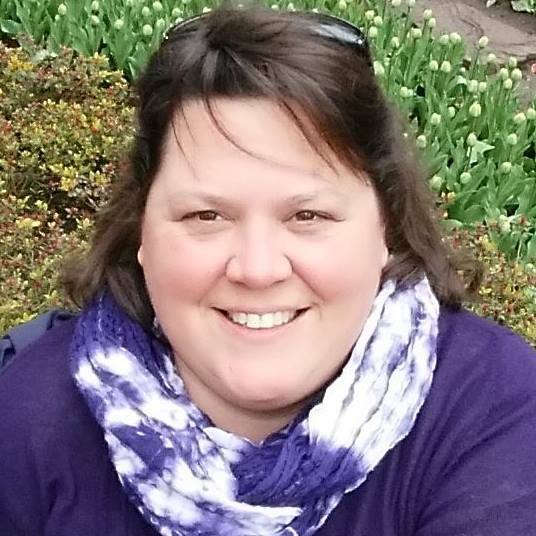 Rita has been instructing the Commercial UAS Certification Program at Southern New Hampshire University since 2019 and the Unmanned Aircraft Systems in Disaster Management course for NDPTC since 2016. Chels Chae has served in the United States Army for nearly 30 years, culminating his career as the Chief of Staff for Joint Task Force – Homeland Defense. He is a subject matter expert in multinational operations, international negotiations and organizational design and development. Chels has over 12 years of experience working closely with 29 of the 36 countries in the U.S. Pacific Command. He has provided oversight and directed extensive Army Theater Security Cooperation Plans spanning 24 partner nations in the Asia-Pacific region. As the Chief Executive Officer of Dynamic Planning & Response LLC, his company has provided extensive support in emergency preparedness and management as well as strategic planning to innumerous clients. His company also developed and delivers executive level seminars and workshops that incorporate strategic leadership, design and strategic planning to solve and manage complex problems. Chels’ education includes a Master of Strategic Studies from U.S. Army War College and a Master of Advanced Military Studies. He obtained a Bachelor of Science in International Relations from the United States Military Academy and received training from the Institute of Design at Stanford University on Design Thinking. Frank Cianfrani currently serves as the Staff Education Coordinator and a Paramedic Supervisor with Centre LifeLink EMS in State College, PA. His duties include the development and delivery of continuing education programs for EMS providers and the recruitment and mentoring of new EMTs at his agency. Frank has twice been recognized as Educator of the Year at Centre LifeLink. Frank also serves as an adjunct faculty member for Harrisburg Area Community College’s Shumaker Public Safety Training Center, where he both coordinates and serves as a lead instructor for their State College EMT program. Additionally Frank also serves as an adjunct EMS instructor and paramedic with Penn State University EMS. Prior to transitioning full time careers to EMS, Frank worked at AccuWeather in State College, PA for nearly a decade. Frank spent his time at AccuWeather in the Television Operations department, where he provided meteorological data and technical support to broadcast customers around the world. Some of his duties included both remote and on-site training for clients, as well as working with the software development team as a quality assurance manager on the development of a new TV weather graphics computer system. Frank studied at Penn State University, where he earned a Bachelor’s degree in Meteorology with a minor in Media Studies. He completed meteorology internships at WMGM-TV in Atlantic City and WCAU-TV in Philadelphia while attending college and has a particular interest in how social media can be used to communicate critical information during high impact weather events. He resides near State College, PA with his wife and daughter. Originally from South Jersey, Frank is a huge Philadelphia and Penn State sports fan, and very much misses the beaches and diners of his home state. Results-driven management professional with over 25 years of extensive leadership experience in diverse homeland security and anti-terrorism operations including service in the U.S. Army in frontline operations. Experienced in all aspects of security, anti-terrorism, and enforcement initiatives to include identifying, developing, implementing, and maintaining processes to reduce risks and limit exposure to liability in all areas of physical and personal risks for national security. Advised United States Army & Foreign Military Senior Leaders in the defense against weapons of mass destruction in areas such as (WMD) force protection programs and (WMD) elimination. Trained staff to deal with weapons of mass destruction, including the defense against WMD as well as response and decontamination procedures in the case of chemical, biological, radiological events. As a Defense Contractor/Associate working for Booz Allen Hamilton on a military instillation Schofield Barracks, Hawaii. I am responsible for providing training to deploying U.S military & foreign military personnel on proper movement techniques, mounted and dismounted weapons employment, urban warfare tactics, techniques, procedures; and force protection. Coordinated and directed C-IED training to over 10,000 US Soldiers, Sailors, Airmen and Marines and 5,000 Partner Nation Forces. Represented the Asia Pacific Counter IED Fusion Center at multiple overseas exercise planning conferences as a lead planner and instructor. Provided technical guidance in the planning, researching, and implementing education and training programs. Ensures Training Support Packages (TSPs) and Programs of Instruction (POIs) are in compliance with the IED Defeat integration training strategy. Mitch Cooper is a certified Department of Homeland Security Incident Management Instructor. 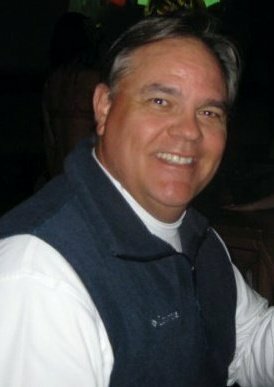 He is currently an adjunct all-hazards instructor for two National Domestic Preparedness Consortium members; The National Disaster Preparedness Training Center at the University of Hawaii and the National Emergency Response and Rescue Training Center at Texas A & M University, Texas Engineering and Extension Service (TEEX). Previously, Mitch was the Program Director for Community Emergency Planning in the Texas Department of Health’s Division of Emergency Preparedness. He developed plan templates for hospitals and special needs facilities and worked with the Texas Legislature to revise rules for disaster plans for special needs facilities in Texas. He was also the agency’s representative to the Governor’s State Emergency Response Team (SERT). Mitch was also a Texas Division of Emergency Management State/Exercise Training Officer. He conducted classes and exercises for jurisdictions throughout the state of Texas. He completed the FEMA Professional Development Series of courses and was the first training officer to receive a FEMA Master Trainer Certificate, writing the state’s first Terrorism Awareness Course as his practicum. As part of the SERT, Mitch responded to numerous emergencies and disasters both in the Emergency Operations Center and in the field. Following the Oklahoma City bombing, he represented the State of Texas to FEMA Region VI and the Department of Justice on matters concerning statewide terrorism training. Mitch is a retired veteran of the United States Air Force, serving for 22 years in counter-intelligence and counter-terrorism and is a certified Air Force Master Trainer. Mitch earned a Master of Business Administration degree from the University of Texas, a Bachelor of Science degree from the University of Maryland and an Associate of Applied Science degree in Instructor/Communications Technology from the Community College of the Air Force. Rob Dale is a meteorologist and emergency manager. After spending over a decade as a TV meteorologist with an emphasis on severe weather coverage, he made the transition to emergency management in 2009. He spent two years in hospital emergency management, and currently works for the Ingham County Office of Homeland Security and Emergency Management as a planner. He also runs a weather alerting system for businesses and public safety agencies called First2Warn, which is used throughout the nation for site-specific weather warnings. He started the International Association of Emergency Managers Caucus on Climate, Water, and Weather, and chaired that group for over two years. Rob graduated from Jacksonville State University with a Bachelor’s in Emergency Management, and has a Masters in Emergency & Disaster Management from American Military University. He holds the Michigan Professional Emergency Manager (PEM) designation. Mark Darienzo is the former Earthquake and Tsunami Program Coordinator for Oregon Emergency Management. He was 1) the emergency management representative from Oregon to the National Tsunami Hazards Mitigation Program (NHMTP), 2) the Tsunami Committee Chair for the Western States Seismic Policy Council and 3) a board member on the Cascadia Region Earthquake Workgroup. He was the lead writer for the Tsunami Warning Systems and Procedures Guidance Document funded by the NHMTP and wrote a Tsunami Sign Placement Guidance brochure. Also with funds from the NHMTP, he helped create tsunami evacuation maps for coastal communities in coordination with the communities and the Oregon Department of Geology. He distributed tsunami signs and literature to coastal cities and counties. He gave several presentations on tsunamis to coastal communities and organized in-state and multi-state tsunami conferences. He also was the lead writer for the tsunami section of the State Hazard Mitigation Plan. Mark received his BA in Geology from the U. of Delaware, his MS in Interdisciplinary Studies (Geology, Physical Geography and Oceanography) from the U. of Oregon, and his PhD in Environmental Sciences and Resources/Geology from Portland State University. 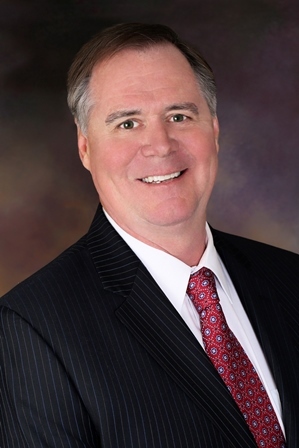 Phil Davis is the principal in his own consulting firm, Davis Health and Safety Associates, specializing in emergency management and executive development. In late 2005, he retired as the Deputy Fire Chief of the Elk Grove Fire Department in California. He has also served as the Assistant Fire Chief for the UC Davis Fire Department. He was in the fire service for 28 years (and in emergency services for 33 years) and has worked as a firefighter/paramedic, captain, training officer, EMS coordinator and Chief Fire Officer. He has served on two Type-2 Incident Management Teams for CALFIRE in California. After retiring from the fire department, Chief Davis served as the Emergency Services Director for the American Red Cross, Capital Region Chapter. His experience also includes part-time adjunct faculty positions at the National Fire Academy, UC Davis and Chico State University as well as numerous California community colleges. He has authored several professional articles and magazine columns. He currently blogs for the on-line version of Emergency Management Magazine and the Sacramento ABC affiliate, News10.net. Twice nominated as Fire Instructor of the Year, he has presented dozens of classes in 43 states plus Canada. Chief Davis holds a Bachelor of Science degree in Health Science, a Master’s Degree in Public Administration and is certified as a chief officer, master instructor, hazmat technician, hazmat incident commander, hazmat safety officer, EMT and fire officer in California. Andrew Doyle, Sr. is a fire and emergency medical services professional with over 15 years of comprehensive emergency response experience. Currently, Andrew is a Firefighter and NREMT-I assigned to the Special Operations Command – Marine Division, in the Baltimore City Fire Department. Andrew serves on the Baltimore City Incident Management Team (Type IV) and represents the Maryland Professional Firefighters (IAFF) on the Maryland Fire Service Personnel Qualifications Board. He is a certified NFPA 1041 Fire Service Instructor and holds additional instructor credentials in ACLS and AHA training programs. 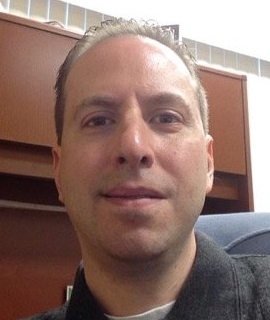 Andrew is blending the rapidly expanding world of social media with emergency management. His knowledge and training in fire, emergency medical service, special operations and public information training make him uniquely qualified to do so. 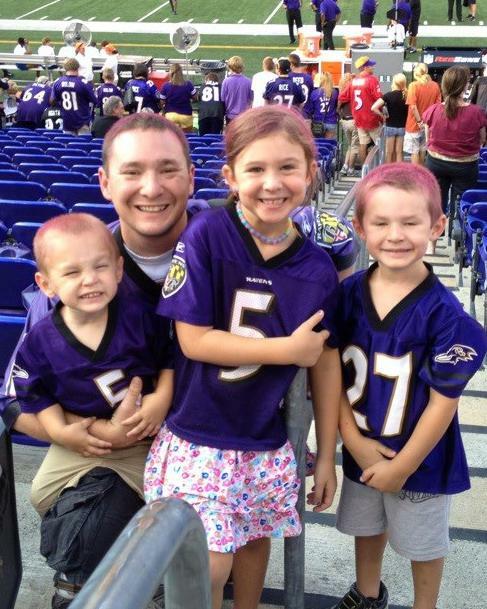 In his spare time, Andrew enjoys cheering for the Baltimore Ravens and Baltimore Orioles. He is the proud father of three children, Emily, Andrew and Jeremy. Follow him on twitter: @doyle0213. Dr. Don Drost recently retired as Professor of Physics at the University of the Virgin Islands. In the mid-90’s, Drost was charged with developing Science 100, a course required of all entering students at UVI. The course is called Hurricanes, Volcanoes, Earthquakes, and Tsunamis in the Caribbean. He is the author of the textbook and lab manual for the class, published on line for students. One of the goals of the class is to educate citizens about natural hazards common in the Caribbean. Since initiating the course, Drost and other staff at UVI have taught the course to 10,000 students at UVI St. Thomas and UVI St. Croix. Drost is involved in other activities associated with Astronomy at Etelman Observatory funded by NASA EPSCoR, Education Research in Science 100 funded by NSF and investigating the introduction of Creative Problem Solving Thinking Skills in Science 100, also supported by NSF. Dr. Drost continues to serve as an Adjunct Professor at UVI while he and his wife divide their time between Florida, North Carolina and the Virgin Islands. He and his wife spend their spare time on the water and in the water often with their dog Rosie. Paul Epstein retired as a Major with the Honolulu Police Department after serving over 32 years, 20 years as the department’s civil defense coordinator. He commanded the department’s Homeland Security Division and Major Events Division, which are responsible for planning, response, operations, and recovery from large planned events, natural and man-made disasters. He oversaw the police department’s terrorism intelligence unit as well as the police representatives to the statewide Fusion Center. From 1994 to his retirement in January 2013, Major Epstein was the police department representative to the Honolulu Emergency Operations Center (EOC) where he coordinated the police response with all other responding and supporting agencies. EOC operations included tsunamis, tropical cyclones, floods, the Asian Development Bank Conference and the Asia Pacific Economic Cooperation. Major Epstein developed the police department’s Civil Defense Manual which provides guidelines for a prompt and coordinated response to a threat or occurrence of catastrophic emergencies or disasters in Honolulu. 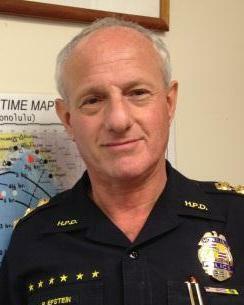 Major Epstein was awarded the 2004 City and County of Honolulu Manager of the Year for demonstrating “outstanding leadership skills in developing and implementing programs that trained police officers in homeland security. By properly training first responders, and partnering with federal, state, local and the private industry, Capt. Epstein has significantly strengthened the City and its people." The training also included police preparedness, response, and recovery to natural disasters including urgent and long distance tsunamis, tropical cyclones, and flooding conditions as well as the Incident Command System. Major Epstein received the 2008-2009 Dr. Arthur Chui Award for Excellence in Hurricane Preparedness given by the National Weather Service Central Pacific Hurricane Center. He is certified by FEMA as a trainer in the Incident Command System, ICS courses 100, 200, 300, 400, 191, and 402. 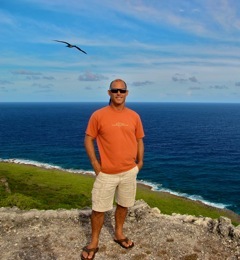 Dolan Eversole serves as the NOAA Coastal Storms Program, Pacific Islands Regional Coordinator. Covering all the U.S. Affiliated Pacific Island (USAPI) territories including American Samoa, Guam, CNMI, the Republic of the Marshall Islands and the Federated States of Micronesia, the Coastal Storms Program (CSP) provides outreach and coordination support to the region by examining the processes and conditions that create and maintain hazard risks and by identifying technological and socio-economic solutions to reduce their vulnerability through measures that improve adaptation and community resilience. The Pacific Region CSP pilot supports NOAA and partner efforts to enhance community resilience to storm-related hazards and climate change impacts (i.e., sea level rise) in the region. The goal of the Pacific Region CSP is to provide better communications, awareness, and understanding of coastal hazard risks and community resilience such as coastal land-use development and how planning decisions affect community vulnerability and resiliency to coastal hazards and climate change through education and product transition. Dolan is a Coastal Geologist by training and graduate of the University of Hawaii, he earned his Bachelor’s (1996) and Master’s degrees in geology and geophysics (2001). Dolan is nearing completion of the University of Hawaii’s certificate in Disaster Management and Humanitarian Assistance. 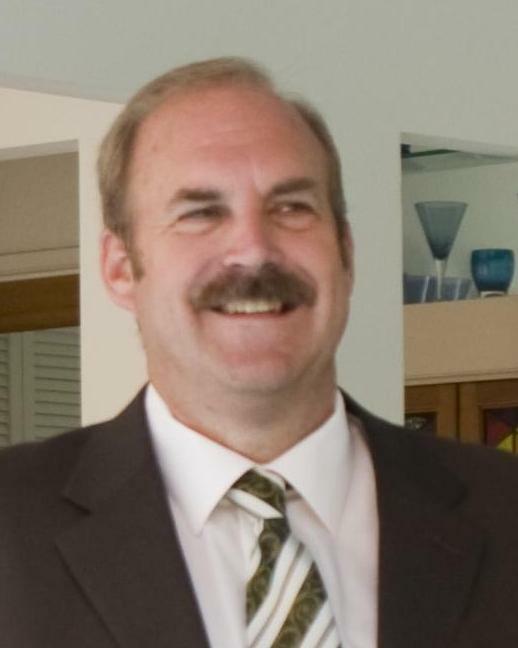 Dolan served from 2003 to 2010 as a technical and policy advisor to the Office of Conservation and Coastal Lands (OCCL), of the Hawaii Department of Land and Natural Resources on coastal issues. As a scientific advisor to the DLNR, Dolan provided technical review and oversight for a variety of coastal land use proposals for the DLNR including applications for beach nourishment. More recently through the CSP, Dolan’s role extends into regional hazard mitigation, disaster management and recovery planning with a focus on community resilience planning and education. Dan Flynn is an Emergency Manager for the Santa Barbara County Office of Emergency Management in California. He also serves as the National Disaster Response Director for Sheep Dog Impact Assistance, a national, not-for-profit disaster response organization, providing teams of current and former military and first responders to national and regional disaster responses. Dan holds the prestigious Master Exercise Practitioner designation through FEMA and is an Instructor for several member agencies of the National Disaster Preparedness Consortium. He is a Subject Matter Expert for the American Nurses’ Association for their National Healthcare Disaster Certification program. He did his Master’s level work in the Sociology of Disasters. Dan started his Emergency Response/Management career nearly 40 years ago with the U.S. Coast Guard, working in Search and Rescue, Law Enforcement and Marine Safety. In civilian life, he has served as a Police Officer, a Sheriff’s Deputy and a firefighter. He served 5 years with FEMA’s Urban Search and Rescue team, MO Task Force 1 and 10 years with the U.S. Department of Health and Human Services’ mass fatality team, DMORT VII, serving as a HAZMAT Specialist and Trainer. Dan was the Emergency Response Team Manager for Recon Solutions. During the 2004-2005 Hurricane seasons, Dan and his team the first “boots on the ground” at nearly a dozen hurricanes, assisting with state, county and local responses along the Gulf and Atlantic coastlines. He has served on the Command and General Staff of several Type 1 disaster responses including tornados, floods, oil spills and large-scale animal disease epidemics. He is a certified Fire Service Instructor, a FEMA NIMS, CERT and HERT Instructor and has delivered over 10,000 hours of training for federal, state, NGO, Healthcare and Private Sector organizations. Mary Jo Flynn-Nevins is the recipient of the 2018 Top Advocate for Social Media in Government award from the Government Social Media Organization. Currently, as an Emergency Operations Coordinator for the Sacramento County Office of Emergency Services, she is responsible for: training, exercises, planning coordination, technology, and social media. She started her Emergency Management career in 2007 where she served as the Emergency Management Assistant Director for the Anaheim Fire & Rescue Department until 2015. Mary Jo has a MS from CSU Long Beach in Recreation Administration, a BA from CSU Fullerton in English Literature and is a trainer with the California Specialized Training Institute (CSTI) and the National Disaster Preparedness Training Center (NDPTC) and offers advanced level training in areas of public alert and warning, social media and emergency organization and management. She currently holds a Certified Emergency Manager (CEM) credential through the International Association of Emergency Managers (IAEM) and is the Past Chair of the Emerging Technology Caucus and Homeland Security, Science and Technology Directorate, Social Media Working Group for Emergency Services and Disaster Management (SMWG). When not spending her time in Emergency Management, Mary Jo enjoys the mountains of the high Sierra, tennis, swimming, and golf. As a volunteer with the Red Cross for over 20 years, she is an advocate of everyone learning how to swim, and training in CPR, First Aid and Stop the Bleed. Dolores Foley is Chair and Associate Professor in the Department of Urban and Regional Planning, University of Hawai'i - Manoa. She received her Ph.D. from the School of Public Administration, University of Southern California in 1989. Her research and consulting areas focus on community planning, citizen participation, and governance of non-profit and community organizations. Her current research and evaluation projects include, Kauhale: Waianae Education and Entrepreneurial Initiative and the Community Resiliency project in American Samoa. She teaches courses on community planning, social policy, and collaborative problem solving. Dr. Foley is affiliate faculty for the Matsunaga Institute for Peace and Conflict Resolution and Chair of the Graduate Certificate in Conflict Resolution. Suzanne Frew is a consultant with The Frew Group, with over 20 years of experience in disaster operations, planning, and capacity building. She specializes in strategic communications for building community resiliency and sustainability, particularly the integration of cultural and spiritual traditions of high-risk, vulnerable populations. Suzanne served FEMA Regions IX and I as Mitigation Education, Outreach and Partnership Development Coordinator and Public Information Officer (PIO). On U.S. mainland and island disaster response operations, she worked as Deputy Mitigation Officer, Mitigation Education and Marketing Branch Chief, and PIO. Since leaving federal service, Suzanne has worked as team leader, project manager, SME, facilitator and author with clients throughout the U.S., Pacific, and Asia. She responded to Hurricane Katrina and the 2004 Indian Ocean Tsunami with the IBM Crisis Response Team. Suzanne holds a BA in Interdisciplinary Public Relations/International Social Welfare from the New College, University of Alabama, and an MFA in Photography from Rochester Institute of Technology. She is a founding member of Gender and Disaster Network (GDN). Robert Glancy was born in the territory of Hawaii, moved a lot growing up in a Navy family, and completed high school in Annapolis, Maryland. He received a Bachelor’s degree from the University of Rhode Island and a Master’s degree in Atmospheric Sciences from the University of Wyoming. In early 2017, he retired from NOAA/ National Weather Service with nearly 36 years of experience, having worked as a Satellite meteorologist in Kansas City, forecaster in Cheyenne, Wyoming, Meteorologist in Charge of a Weather Service Office in Providence, Rhode Island, lead forecaster in Denver, Colorado and 22 years as Warning Coordination Meteorologist (WCM) in Denver/ Boulder, Colorado. The WCM position is the primary outreach position at the National Weather Service and he conducted a lot of spotter training, dispatcher training, safety training, and weather awareness training across northeast Colorado. Working as a NDTPC instructor allows him to continue to spread the weather safety message. Mr. Goldhammer’s career in emergency operations began in 1969 when he became a volunteer member of the Ithaca, NY Fire Department while attending Cornell University to work on his degree in Meteorology. In 1974, he went to work for Hillsborough County Emergency Medical Services (EMS). He worked with the department in many capacities until his retirement as Assistant Chief of Operations in March 1997. In November 1994, Bob received his certification as an emergency manager (CEM) from the International Association of Emergency Managers (IAEM). Bob received his BS degree in Business Management from the University of South Florida in 1995. In March 1997, Bob moved to Des Moines, IA to become the emergency management coordinator for Polk County, IA. In July 1999, Bob received his Certified Business Continuity Professional certification from the Disaster Recovery Institute International (DRII). In July 2002, Bob received his Masters in Teachers in Geosciences from Mississippi State University. Mr. Goldhammer left his position with Polk County in March 2003 to pursue a variety of opportunities related to emergency preparedness. He is currently a member of the instructor cadre for the National Disaster Preparedness Training Center. Bob served as an IAEM regional president for approximately 10 years. He currently represents the organization on the National Weather Service (NWS) Weather Ready Nation program. He is currently a member of the FEMA National Reservist Program; his primary duties are with the Hurricane Liaison Team. He was the co-chair of the American Meteorological Society (AMS) Emergency Management Committee from its inception to January 2017. Bob and his wife Nancy live in Des Moines, IA. Allison Hardin, CFM works for the City of Myrtle Beach as a city planner. Her 25-year career includes experience with regional and urban planning, GIS mapping and coordination, floodplain management, hazard mitigation planning, business operations and emergency services. She has been a longstanding partner in, and supporter of, NOAA's Digital Coast project; served as chair of both the SC Association for Hazard Mitigation and state Arc GIS users group; and served four years as a co-chair for the Association of State Floodplain Managers (ASFPM)’s Coastal Issues subcommittee. In recent years, Allison has made presentations on climate change impacts and community resilience to everyone from civic groups to Congressional staff. In 2012, Allison was presented with the Award for Planning Awareness by the SC chapter of the American Planning Association for her work to promote resilient community practices. Besides her BS degree from Appalachian State University, she has received training in adult learning methods through the Emergency Management Institute and on-the-job training as a first responder and emergency medical training grant coordinator for seven counties in western NC. Allison is a certified instructor for Coastal Community Resilience, Coastal Flood Risk Reduction, Social Media for Disaster Response and Recovery, and Hurricane Awareness. She currently serves as the Chair-Elect of the Hazard Mitigation/Disaster Recovery Division of the American Planning Association (APA). 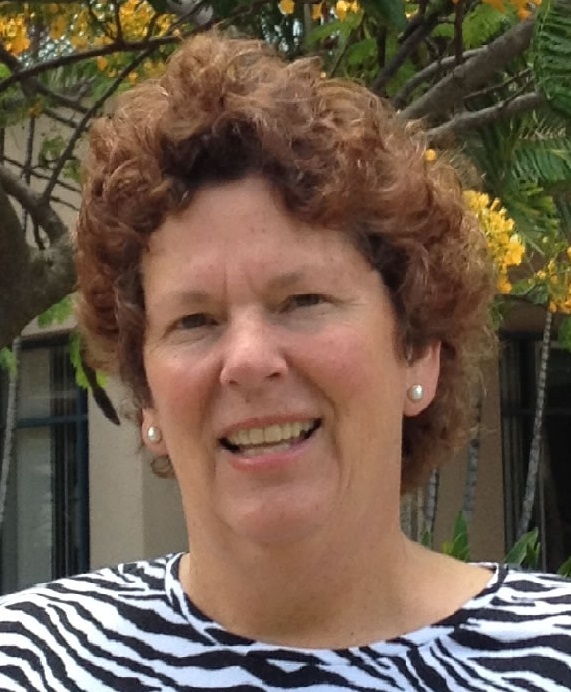 Carolyn J. Harshman, CEM is President of Emergency Planning Consultants located in San Diego, California. Since 1984, Ms. Harshman has provided emergency management plans, training, and exercises to a wide range of governments, including public educational institutions. Professional services include: hazard and vulnerability assessments, recovery and reconstruction plans, hazard mitigation plans, emergency response plans, needs and capability assessments, continuity of operations plans, catastrophic plans, grant writing, trainings, and exercises. Carolyn has enjoyed two careers – one in land use planning with the City and County of San Diego and one in emergency management beginning as a hazard planner for the County of San Diego’s Office of Emergency Services. Ms. Harshman holds a Master of Public Administration Degree and is a Certified Emergency Manager (CEM) as conferred by the International Association of Emergency Managers. James Henderson is a meteorologist specialist who currently works as an instructor, lecturer, and consultant in the various branches of meteorology. James retired from the National Weather Service with 41 years of service. James is an Air Force veteran. His various assignments in the National Weather Service included agriculture research at the North Florida Agriculture Research Office in Quincy Florida, research meteorologist with the National Severe Storms Laboratory in Norman Oklahoma, fire weather and air pollution meteorologist in Birmingham Alabama. James was the Meteorologist in Charge of the San Francisco Forecast Office and Director of the Eastern Pacific Hurricane Center where he gained experience working with the emergency management community. He was a tornado forecaster at the National Severe Storms Forecast Center (forerunner to the current Storms Prediction Center) in Kansas City Missouri and later served as Deputy Director of the Center and chief of the Operations Branch. James later served as Deputy Director of the Aviation Weather Center in Kansas City Missouri. Since retiring James has worked as a consultant and instructor in Colombia South America, China, Taiwan, Uganda, and Ghana. The work with the Chinese included training and lecturing in the field of Aviation Meteorology to Chinese Aviation Forecasters. James also wrote a training program for the Taiwanese Aviation Administration and served as the liaison between the Aviation Weather Center and the Taiwanese forecasters. James earned his Bachelor and Master of Science in Meteorology from Florida State University and worked on his Doctorate at the University of Oklahoma. James is a Fellow of the American Meteorological Society. James is happy to blend weather, public safety and preparedness in the professional classroom. James has an enthusiasm for day to day weather and its impact on communities. Miguel Hidalgo is a certified professional emergency manager with the Florida Emergency Preparedness Association (FEPA) and has 15+ years of emergency preparedness planning experience for city/county government and private sector organizations. Miguel’s expertise includes public health preparedness, community preparedness, government continuity of operations planning, business continuity planning and social media use for emergency management enhancement. Miguel has led in the plan, design and execution of full-scale exercises to include the activation of the Federal Strategic National Stockpile (SNS) program and its medical assets deployment and distribution methods. He has worked in several natural disaster response deployments throughout his career. He has worked for the Florida Department of Health Office of Public Health Preparedness, the NYC Department of Health Disease Control Bureau, Montefiore healthcare system and is currently an emergency management planner and consultant. Miguel’s education includes: a Bachelor of Arts in Government with a minor in Urban Affairs, Master’s Degree in Public Administration, Emergency Medical Technician (EMT), and is a FEMA certified Incident Command System (ICS) instructor. Bruce Houghton is the Gordon MacDonald Professor in Volcanology at University of Hawaii at Manoa, the Hawaiian State Volcanologist, and a Fellow of the Royal Society of New Zealand. He is the Science Director at the National Disaster Preparedness Training Center and the lead developer for AWR-233, the "Volcanic Crises" awareness course. He trained at University of Auckland, University of Otago, and Ruhr-Universitat Bochum. Bruce has published over 200 research papers in international journals and was an editor of the Encyclopaedia of Volcanoes in 2000 and 2015. His recent research has expanded to include interdisciplinary studies of tsunami and volcanic disasters funded by the Human and Social Dynamics and Hazards SEES initiatives in NSF. Dennis Hwang is Faculty at the University of Hawai'i Sea Grant College Program where he authored several books including the Hawai'i Coastal Hazard Mitigation Guidebook, which is used in the land use process in Hawai'i. After Hurricane Katrina, he helped produce the Louisiana Coastal Hazard Mitigation Guidebook for the Louisiana Sea Grant College Program, Louisiana Department of Natural Resources and FEMA. He was also the lead author for the Homeowners Handbook to Prepare for Natural Hazards which was produced in Hawai'i, and has been modified or is being modified for Mississippi, Alabama, Florida, Texas, Louisiana and Delaware. Dennis is also counsel at the office of O'Connor Playdon and Guben where he specializes in Coastal Zone Management Law. His clients include State and local planning departments interested in incorporating hazard mitigation into the development process. Dennis has his Bachelor of Science in Geology from the University of Rochester, Master of Science in Geology & Geophysics from the University of Hawai'i and Jurist Doctorate from the University of Houston, where he concentrated in land use and property law. He is a member of the American Society of Civil Engineers, Earthquake Engineering Research Institute, Hawai'i State Bar Association, State Hurricane Advisory Committee and NOAA National Focus Team for Hazard Resilient Communities. David Imy held a variety of positions at 5 different National Weather Service (NWS) offices during his 33 year year meteorologist career. Some of his major tasks included forecasting, training severe weather spotters and providing safety talks for various schools, hospitals, etc., as well as developing and teaching the NWS in-residence Doppler radar course. The last 15 years of his NWS career was spent as the Operations Supervisor for the Storm Prediction Center. While supervising 22 forecasters, he also worked rotating shifts and issued severe thunderstorm and tornado watches, mesoscale discussions, and severe convective and fire weather outlooks for the contiguous states. 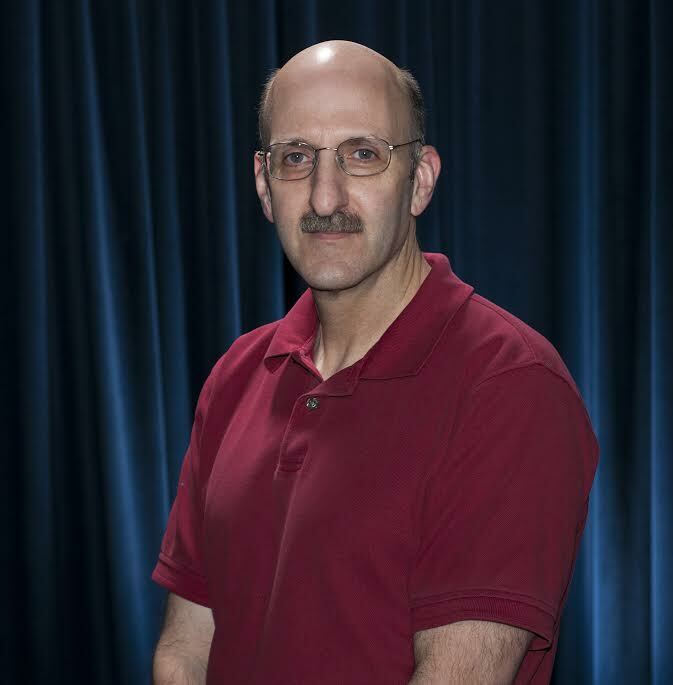 David retired from the NWS on Dec 31, 2011 and since then has been teaching meteorology classes, involved with scientific research projects and also an expert witness for weather-related court cases. Diane is a broadcast meteorologist at a 24-hour local news and weather TV station in Tampa Bay. Her job also includes forecasting for several radio stations and two newspapers. She has over 25 years of experience forecasting severe and tropical weather. Diane regularly gives talks to adult groups and schools about hurricanes. Diane started her meteorological career at Penn State University, PA, where she earned a Bachelor of Science degree in meteorology. Her first job as a meteorologist was at Air Science Consultants in Bridgeville, PA where she did radio forecasts for cities in the U.S. and Canada and wrote forecasts for several large newspapers. At the same time, Diane's did weekend weather in Steubenville, OH. Then Diane spent a couple years at WATE in Knoxville TN. 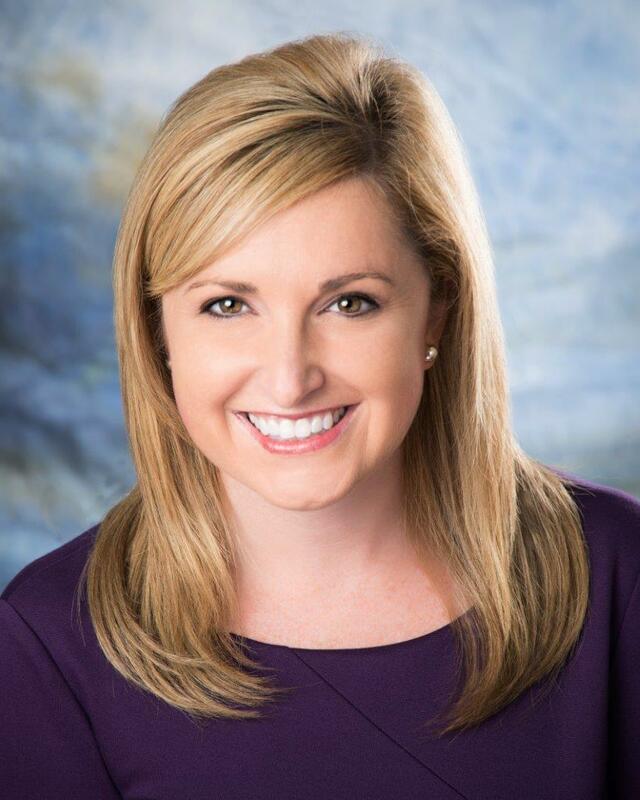 She became the Chief Meteorologist at Lexington, Kentucky's WLEX. Then she was at WDAF-TV in Kansas City, MO, before coming to the Tampa Bay area as a meteorologist for WTSP. Diane has been part of the Bay News 9's Weather Experts team since 2004, and has been covering all of the tropical storms and hurricanes that have impacted Florida since 2000. Diane is a member of the American Meteorological Society, holding its Certified Broadcast Meteorologist seal. Bryan grew up in a suburb of St. Paul, Minnesota, and traveled an hour and a half southwest to Mankato State University to follow his childhood dream of working with weather and the sciences. During his junior year, he turned his dream into a reality by accepting a weekend weather position at Mankato CBS affiliate KEYC-TV. This opportunity led him to KCCI-TV in Des Moines, Iowa, where he spent 12 years as the morning meteorologist working in one of the most weather-intensive markets in the world. It gave him a chance to gain important field experience on frequent storm chases, and also allowed him opportunities to cover hurricanes in New Orleans, and even Orlando during the very busy 2004 hurricane season. In 2010, Bryan returned to the Twin Cities where he was part of a team of meteorologists who launched national weather channel, WeatherNation TV. Bryan is excited to be part of an award-winning weather team as Chief Meteorologist for Spectrum News 13 in Orlando, where he covers sea breeze thunderstorms and hurricanes. He was named Florida Associated Press Weathercaster of the Year in 2016 and 2017, and was honored to be named a Distinguished Member of the Central Iowa Chapter of the National Weather Association in 2017. Bryan’s weather experience and continuing education earned him the National Weather Association's Seal of Approval, and he was honored with the NWA Broadcaster of the Year Award in 2009. Bryan also holds the American Meteorological Society’s Certified Broadcast Meteorologist Seal of Approval. Earle Kealoha retired as a captain with the Honolulu Fire Department (HFD) after more than 30 years of service including four years as an original member of their Hazardous Materials Response Team and five years working in their Occupational Safety and Health Office. Earle completed the Federal Emergency Management Agency’s initial “All Hazards Incident Management Team (AHIMT)” course and position specific training for Logistics, Public Information Officer (PIO), and Safety Officer as well. From 2006-2010, Earle served as one of the HFD’s “Back-up PIOs”. During the Asia Pacific Economic Cooperative held in Honolulu in 2011, Earle served as a member of the HFD’s AHIMT as its Incident Safety Officer. Earle has completed courses conducted by other National Domestic Preparedness Consortium organizations. They include the Center for Domestic Preparedness WMD Incident Command Course in 2000; Incident Response to Terrorist Bombings Technical Operations Course conducted by the Energetic Materials Research and Testing Center (2003); WMD Radiological/Nuclear Course for Hazardous Materials Technicians conducted by what is now known as the Center for Radiological Training or CTOS (2005); and the Advanced Incident Management/Unified Command course conducted by the Texas Engineering Extension Service (2008). He received an associate of science in Fire Science from HCC in 1985, a bachelor of science in Public Administration from UH West Oahu in 1987 and a Masters in Public Administration from University of Hawaii at Manoa in 2006. Earle completed the National Fire Academy’s rigorous four-year Executive Fire Officer (EFO) Program and received his EFO designation from the in May 2010. Alisha King is a Certified Emergency Manager (CEM) through the International Association of Emergency Managers (IAEM), nationally-recognized disaster technologist, and an award-winning educator with a passion for building resilient communities. In practice, Ms. King is a vocal proponent for inclusive preparedness strategies, evidence-based practices, and transparency in government. Ms. King currently serves as the Emergency Manager for State of Washington IT "WaTech" and a DHS / FEMA Instructor for cybersecurity, incident command systems, and the Emergency Management Basic Academy. Mr. Kirby is a senior public safety operations specialist, providing leadership and guidance for an array of public safety enhancements required by local, state, federal, and tribal agencies. He has been serving in the homeland security sector for more than eight years, and has 37 years of field and management experience in law enforcement, firefighting, emergency medical services, emergency communications, and emergency management areas. His experience includes disaster response to pipeline ruptures, hurricanes, and tornadoes. Mr. Kirby is a subject matter expert assisting clients and consultants primarily on projects that support the United States Department of Homeland Security. Dr. Kong has been the Director of the International Tsunami Information Center (ITIC) since 2001. As Director, she oversees the Center that supports the Intergovernmental Oceanographic Commission (IOC) in its efforts to deploy tsunami warning and mitigation systems globally, and that works directly with the 46-nation Intergovernmental Co-ordination Group for the Pacific Tsunami Warning and Mitigation System (ICG/PTWS) to strengthen international and national tsunami warnings and preparedness. Since the 2004 Indian Ocean tsunami, Dr. Kong has been active in advising countries around the world on how to build robust and sustainable tsunami mitigation systems. Dr. Kong also serves as the Hawaii State Tsunami Advisor. She is the former Chair of the Hawaii State Earthquake Advisory Committee, and a member of the Hawaii State Hazard Mitigation Forum. Previously, she was with the Pacific Tsunami Warning Center, the University of Hawaii's Hawaii Institute of Geophysics, the U.S. Geological Survey's Hawaiian Volcano Observatory, and the University of Tokyo's Earthquake Research Institute. She was born and raised in Honolulu, Hawaii, is a graduate of Brown University and received her doctorate in Seismology from the Massachusetts Institute of Technology and Woods Hole Oceanographic Institution in 1990. Emily Kukulies is an educator and community leader. She is an Assistant Professor at the University of Hawaii – Honolulu Community College. She holds a Master’s Degree in Educational Administration, as well as an MBA from Shidler College of Business at the University of Hawaii. Ms. Kukulies is very active with her local community in Disaster Preparedness. She serves as the Community Disaster Education Lead for Oahu, Hawaii with the American Red Cross. She coordinates workshops and activities that serve thousands of diverse community members every year. She is also active in the Hawaii State VOAD (Voluntary Organizations Active in Disaster). Emily Kukulies is a Senior Responder with the American Red Cross and is active in responding hands-on to local and national (U.S.) disasters. From floods to fires, hurricanes to tsunamis, she has responded in the various roles of incident leader, client case work, disaster assessment, shelter management, volunteer coordination, psychological first aid, media relations and more. Kem Lowry is Adjunct Senior Fellow at the East West Center. He is Professor Emeritus and former chair of the Department of Urban and Regional Planning, University of Hawai`i. He received his Ph.D. from the Department of Political Science, University of Hawai`i in 1976. He has been a visiting scholar at the Institute for International Relations and Development in Asia, Sophia University, Tokyo; visiting faculty at the Department of City and Regional Planning, University of North Carolina; and a Pew Fellow at the Marine Policy Program, Woods Hole Oceanographic Institution. He has published articles on planning and environmental management, coastal management and evaluation in journals including American Planning Association Journal, Urban Law Annual, Publius, Environmental Impact Assessment Review, and Policy Studies Review. He is also the co-author of Choosing Change: A Self Assessment Manual for Non-Profits. Dr. Lowry has served as a consultant to the U.N. Development Planning agency, the Asia Foundation, the U.S. Agency for International Development, UNICEF-China, the Packard Foundation, the U.S. Congress Office of Technology Assessment, and several state agencies in Hawai`i. He designed and participated in training programs and workshops on coastal management, evaluation and environmental mediation in Indonesia, the Philippines, the US, China and Sri Lanka. He is a mediator and a former director of the Program on Conflict Resolution, University of Hawai`i, a member of the Advisory Board of the Center on Alternative Dispute Resolution, Hawai`i State Judiciary. Lowry is recipient of both the Robert Clopton award and the Hung Wo and Elizabeth Lau Ching Foundation Award for UH Faculty Service to the Community. He served on the editorial boards of the American Planning Association Journal and the Journal of Ocean and Coastal Management. 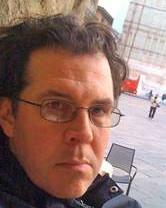 Paul Manson is a researcher with Portland State University's Center for Public Service (CPS). His research focuses on increasing the effectiveness of public involvement in thinking about life after a disaster event, and how communities can plan for an uncertain future. Recent research efforts include applied community planning workshops and public opinion surveys on disaster recovery planning. Paul also develops demographic and spatial tools for disaster response. Paul is also a PhD candidate at Portland State. His dissertation research is focused on the multi-year Oregon Territorial Sea Plan update – a marine spatial planning effort to resolve conflicts among many ocean users via a technologically mediate participatory GIS system. His applied work includes the development of coastal viewshed assessment protocols and tools to support communities participating in marine spatial planning. Paul is an Oregon Sea Grant Fellow and a NSF Integrative Graduate Education and Research Traineeship (IGERT) Fellow. Paul started his work in emergency preparedness in the Civil Air Patrol in Alaska and continues to be engaged in his own community supporting preparedness. Juli Marquez is an award-winning broadcast meteorologist at Spectrum Bay News 9 in Tampa Bay. She works the morning show which begins every weekday at 4:59 a.m. When she's not busy forecasting the weather, she participates in hurricane expos and gives talks to local schools and community groups about weather safety and preparedness. A Chicago native, Juli graduated with honors from Loyola University Chicago with a degree in communications and was inducted into Phi Beta Kappa academic honor society. Juli earned her meteorology certification from Mississippi State University and is a member of the American Meteorological Society. She was one of the first dozen women to earn the AMS Certified Broadcast Meteorologist Seal. Juli's career began at WTVO-TV in Rockford, Illinois. She also worked at KMTV in Omaha, Nebraska for three years before joining Bay News 9 in 2002. She has covered snowstorms and tornadoes in the Midwest and tropical storms and hurricanes in Florida. Juli has been recognized for her coverage of severe weather in Tampa Bay. This includes several Associated Press awards for tornado coverage and an Associated Press award for a children’s weather education special. She has also been nominated for two Emmy awards for severe weather coverage in Tampa Bay. Irvin R. Mason, Sr. is currently the Training Coordinator for the Virgin Islands Territorial Emergency Management Agency (VITEMA), where he was worked since 2000. Mr. Mason is responsible for coordinating and conducting exercises to test the readiness of the territories’ emergency operations centers and other government agencies territorially throughout the year. He also initiates training to increase preparedness in all aspects of emergency management and homeland security. He is a certified trainer for CERT, HAZMAT, WMD, and Tsunami Preparedness. Mr. Mason is also the sitting Chairman of the Board of Directors for St. Thomas Rescue, an all volunteer service, that consist of members that are trained as Emergency Medical Technicians, First Responders, First Aiders certified in CPR, extrication, search and rescue and all related areas of rescue to include dive rescue. Eric Matusak began his public safety career at the age of 15 as a volunteer with the City of Long Beach Search & Rescue team, a volunteer job that he continues to this day. Eric was hired full time by the City of Long Beach’s Harbor Department where he served as a Harbor Patrol Officer for two years, focusing on homeland security and business continuity in the Port of Long Beach, the second busiest sea port in the United States. Eric then moved on to the City of Long Beach Police Department where he is currently a Police Officer. 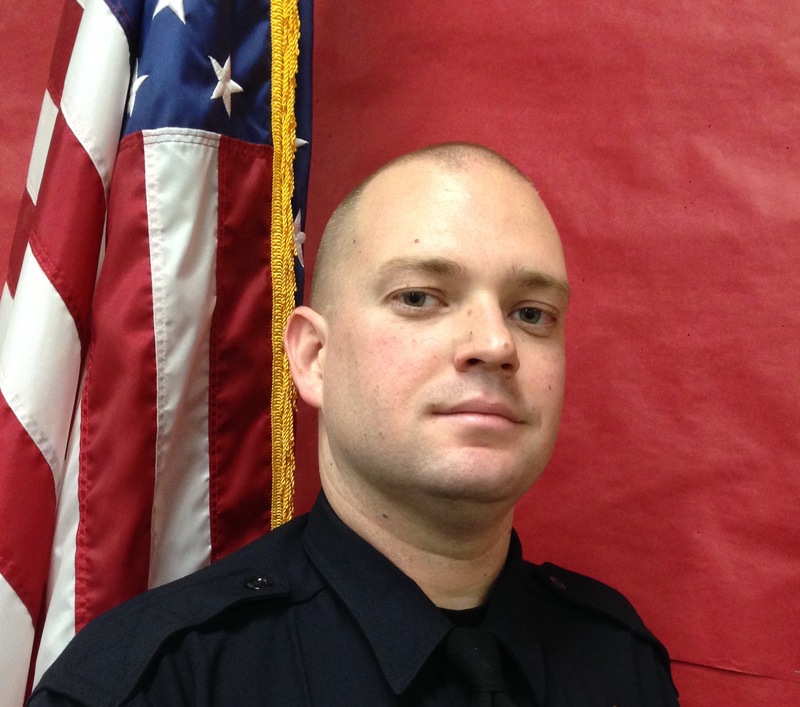 Eric worked patrol primarily in the City’s West Patrol Division. During his time on patrol he was awarded the Department’s Meritorious Award for Heroism for actions taken while responding to a man with a gun call. Officer Matusak then transferred to the Field Support Division where he is currently a member of the Event Planning Section. Eric prepares event action plans for these events which range from small community parades to the IZOD Toyota Grand Prix of Long Beach. He is also responsible for much of the emergency management responsibilities of the department. Officer participates in city and county wide committees to increase the Police Department’s preparedness for a disaster. Officer Matusak is currently the primary Incident Command System instructor for the city of Long Beach. He currently serves as a Planning Section Chief on the City of Long Beach’s All Hazard Incident Management Team and is one of the team’s project managers. Maureen McCann knew she wanted to be a broadcast meteorologist since the age of 4 when Hurricane Gloria blew through her New England hometown. So, it's fitting that Maureen has landed in Florida, since it was a hurricane that sparked her interest in weather in the first place. Maureen is currently the weekday morning meteorologist at News 13 in Orlando, the 24-hour station serving Central Florida. Her TV career has taken her around the country to experience a wide range of weather patterns starting in Bangor, Maine, followed by stations in Syracuse, NY, Austin TX, and Denver, CO. It was in Denver that her storm chase adventures with the late Tim Samaras and his research group TWISTEX transformed into a special which was honored with an Emmy Award and a Colorado Broadcasters Association award. An active member of the American Meteorological Society (AMS), Maureen holds both the Certified Broadcast Meteorologist and Certified Consulting Meteorologist seals. She serves as the AMS Commissioner on Professional Affairs, overseeing the society's certification programs. The National Weather Association has also awarded her with their Television Seal of Approval. 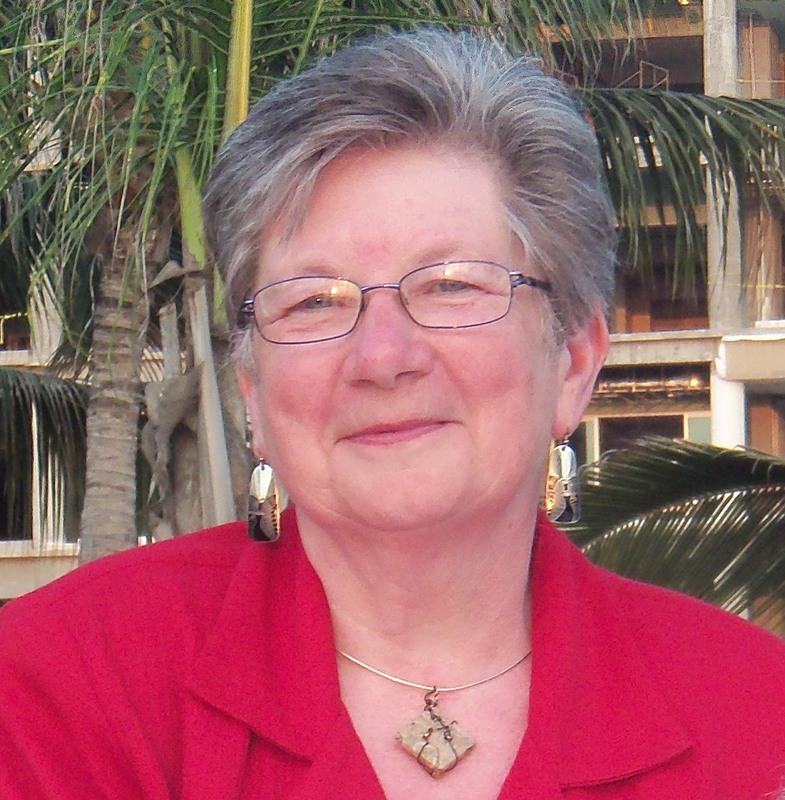 Originally from Arlington, Massachusetts, Maureen graduated from Cornell University with a B.S. in Atmospheric Science. She is currently enrolled in a Masters of Science program at University of Central Florida focusing on geographic information systems and emergency management. Dennis McGowen began his law enforcement career in May of 1981 with the Del City Police Department where he served as a Patrolman with two years in the K-9 Division. In 1985, Dennis joined the Oklahoma Alcoholic Beverage Laws Enforcement Commission and is currently the Special Agent in Charge of the Oklahoma City Enforcement District which encompasses 27 Oklahoma Counties. His duties have included internal affairs, organized crime, tornado and disaster response, training and public speaking appearances. Dennis has completed over 3,500 hours of advanced law enforcement training including: Death Investigation Academy, Criminal Intelligence Officer Academy, Criminal Investigation Academy, Critical Incident Stress Management, Suicide Prevention, Anti-Terrorism, Human Trafficking, Management & Leadership, Emergency Management, Weather Pattern Identification & Hazards and the OK-First weather data interpretation certification. Dennis earned his B.A. in Criminal Justice with a Forensic Science minor from the University of Central Oklahoma. He holds a CLEET Advanced Law Enforcement certificate and has been certified to instruct: Law Enforcement Driver Training (LEDT), FEMA Community Emergency Response Team (CERT), OSHA Blood Borne Pathogens, National Safety Council Alive@25 Teen Driving Course, Question, Prevent, Refer (QPR) Suicide Prevention Gatekeeper, Law Enforcement Suicide Prevention, Below 100 (line of duty death prevention) and ICISF Critical Incident Stress Management. Dennis has served as an Adjunct Instructor for the Oklahoma Council on Law Enforcement Education & Training (CLEET), the National Liquor Law Enforcement Association (NLLEA) National Training Academy and a Lead Instructor at the OSU-OKC Precision Driving Training Center. Angela Michaels is the former County Engineer and Floodplain Manger for Ada County, Idaho. In that capacity she was exposed to the regulatory and administrative side of flooding, the National Flood Insurance Program (NFIP), as well as FEMA flood risk map revision process. Additionally, she chaired the Steering Committee tasked with updating the Ada Emergency Management’s multi hazard mitigation plan. In her roll she joined a flood fight in her own community, seeing flood flows matching record highs as far back as 1983. She has firsthand experience with facing the threat of flooding and knows how critical preparedness is for our communities and our country. Most recently she volunteered for post-fire cleanup on the Camp Fire in Northern California. Angela’s current focus is educating, specializing in learning based adult education, developing and delivering training as a SME in the floodplain management and emergency management fields. Angela has a BS from Oregon State University. She is licensed Professional Engineer in Idaho, Oregon, and Washington. She’s a Certified Floodplain Manager with extensive experience in hydrology and hydraulics analysis. She is also a Certified Profession in Erosion and Sediment Control. Angela spends her spare time mountain biking, fly fishing, and traveling the world participating on volunteer design teams in developing countries. Sarah K. Miller is a Certified Emergency Manager (CEM) who currently serves as the contract Emergency Management Coordinator for the 16 cities, one tribe, and one island of south King County, Washington. Prior to that, she was the Emergency Manager for the City of Auburn, Washington for 9 years. Her 30 years of public service includes 12 years as a public safety dispatcher and 9 years as a search and rescue volunteer. Sarah has been an adjunct faculty member at various colleges and universities since 2002. She currently teaches undergraduate courses at Pierce College and graduate courses at Georgetown University. In addition, she works with a number of FEMA training partners to deliver courses across the country on topics including social media, whole community, situational awareness, ICS, and CERT, as well as teaching in the National Basic, Advanced, and Executive Emergency Management Academies. Sarah is active in the International Association of Emergency Managers (IAEM), currently serving as President of Region 10, immediate past-Chair of the Emerging Technology Caucus, and as a member of the Global Communications Work Group. She holds a Master of Public Administration degree in Emergency Management, is a graduate of the National Emergency Management Advanced Academy, and has completed doctoral work in homeland security, terrorism, and public policy. Sarah is also certified in cybersecurity management and business continuity. A native of Oregon, Sarah has lived in Washington State since 1997 with her husband and a random assortment of cats. You can find her on Twitter as @scba. Bronlea Mishler is a public relations and communications professional who currently serves as the communications coordinator for Skagit County, Washington. In addition to coordinating public outreach for several county departments and elected officials, she trains staff in effective communication and social media techniques, manages multiple social media accounts, manages the local PIO network, and serves as lead county spokesperson. She has more than a decade of experience in government public relations, crisis communications and journalism. Her crisis communication work includes managing social media and public outreach during the March 2014 Oso landslide, coordinating communications for the 2014 Marysville-Pilchuck High School shooting and the 2016 Cascade Mall shooting, organizing the JIC and managing communications for the 2016 Break Free protests in Anacortes, assisting with PIO duties during a 2016 officer-involved shooting in Mount Vernon, and being the lead spokesperson and social media manager for several smaller emergency incidents in Skagit County. She previously served as communications director for the city of Marysville, and deputy director of communications for Snohomish County. She also worked for the Washington State Department of Transportation managing the popular @wsdot_traffic Twitter account, and was a local newspaper reporter. Bronlea lives on a small farm in Washington with many cats, chickens horses, goats and a one-eyed Border Collie. Connect with her online: http://www.linkedin.com/in/bronlea or @bronleamishler on Twitter. Cheryl Nelson is an Emmy-nominated, certified broadcast meteorologist and natural disaster preparedness specialist with a true passion for weather and preparedness. Cheryl has over 15 years of professional experience including a decade as a TV meteorologist where she broadcasted nationally on Fox News Channel, CNBC and the AccuWeather Channel, and locally in markets such as Syracuse, NY and Norfolk, VA. Currently, in addition to teaching for NDPTC, Cheryl is co-host for "Coast Live" on WTKR-TV (CBS) in Norfolk, VA and the national spokesperson for Cummins Residential Generators. Cheryl is also a freelance meteorologist/social media consultant for StormCenter Communications and the U.S. Joint Staff. A NOAA Weather Ready Nation Ambassador and FEMA-certified professional, she also speaks at various conferences and workshops around the U.S. and Canada about disaster preparedness for families and pets. In 2015, Cheryl was awarded a “FEMA Individual and Community Preparedness Award for Awareness to Action, Honorable Mention” and was recognized as a “Top 40 Under 40” Professional in Hampton Roads, VA in 2014. 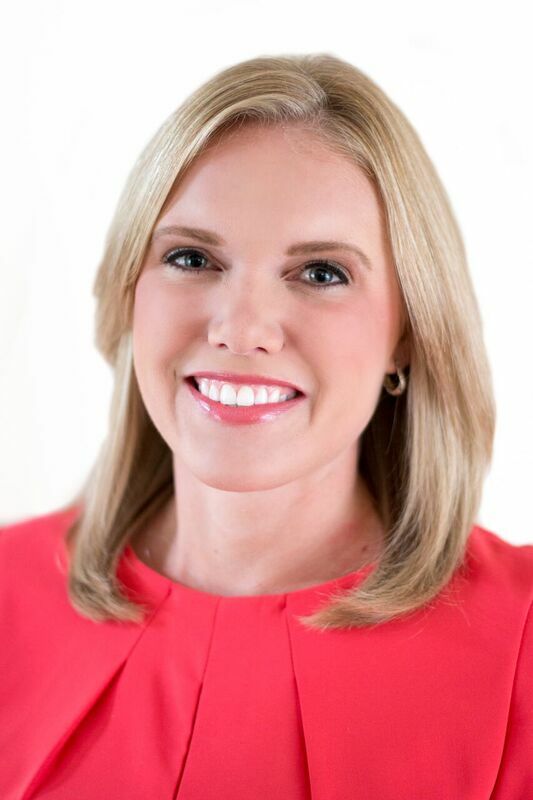 Mallory Nicholls is currently a broadcast meteorologist for News 13 in Orlando in addition to being an instructor for the National Disaster Preparedness Training Center. In the past ten years, she has been able to forecast the weather for multiple climates. This includes snow, ice, heat waves, severe thunderstorms, tornadoes, and hurricanes from the mountains of Tennessee to the coast of South Carolina and Florida. She most recently covered Hurricane Matthew, which battered the east coast of Florida before moving north and dumping several inches of rain over the Carolinas. Mallory has a Bachelors of Science in Meteorology from North Carolina State University and is currently obtaining a Masters of Science in Emergency Management from Millersville University. She’s an active member of the American Meteorological Society and holds the Certification for Broadcast Meteorologists. Dave has been certified as an Emergency Manager, he currently serves as the Medical Reserve Corps & Workforce Deployment Manager for Public Health Seattle-King County, WA. In his current position, he is responsible for volunteer management and deployment of employees and volunteers during disaster or a medical emergency as well as large local medical missions. Previous to this assignment he spent four years as the Assistant Director of Emergency Services for the American Red Cross in Seattle. He has served on five presidentially declared disasters as well as many smaller local disasters. Dave is also a Response team member for ShelterBox a British Charity that provides Rapid Shelter after a natural disaster or due to conflict displacement. Since joining ShelterBox in 2014 he has been deployed to The Philippines, Serbia, Malaysia, Paraguay & Haiti. He retired after 20 years of service in the United States Army and now lives in West Seattle with his Wife and Orange Tabby, where he is a member of the Rotary Club of West Seattle. Steven serves as the Department of Energy Preparedness Program Manager for the Tennessee Emergency Management Agency. His responsibilities include coordination with the Department of Energy facilities in Oak Ridge, Tennessee, five local jurisdictions, supervision of the DOE staff, program financial management, and serves as the lead negotiator for the contact between DOE and the state. In times of emergencies, Steve directs the Regional Coordination Center in support of state field staff and local jurisdictions. 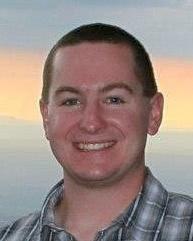 Previously he was with Kentucky Emergency Management as a Regional Response Manager and special projectors coordinator. Steven’s emergency management career followed his 20-plus years as an award winning television journalist. During this time he served as a general assignment reporter, investigative reporter, freelance network correspondent, assignment editor, news director and promotion-marketing director. Connie P. Ozawa is Professor in the Toulan School of Urban Studies and Planning, Co-Director of the PSU-China Innovations in Urbanization Program at Portland State University, Vice-Chair of the Planning Accreditation Board, and a consultant with the federal National Disaster Preparedness Training Center in Honolulu, Hawaii. Dr. Ozawa holds a B.A. in Environmental Studies from U.C. Berkeley, a M.A. in Geography from the University of Hawaii and a Ph.D. in urban planning from the Massachusetts Institute of Technology. She is author of Recasting Science: Consensus-Based Procedures in Public Policy Making (Westview, 1991), editor of The Portland Edge: Challenges and Successes in Growing Communities (Island Press, 2004), co-editor of Planning the Pacific Northwest (APA Press, expected spring 2015) and author of numerous book chapters and journal articles on planning education and the role of science in public decision making involving environmental issues, mediation and collaborative processes. LPP Consulting delivers real-world solutions throughout all phases of the Homeland Security and Emergency Management Cycles. The company’s principal, Philip E. Parr, has nearly 40 years of local and national level experience leading federal and local teams at our Nation’s largest disasters. Mr. Parr is a retired, 25-year veteran, Chief Officer of the New York City Fire Department, where he served as a Fire and Emergency Ground Commander and as a Deputy Director at the New York City Office of Emergency Management. Following his retirement from the FDNY, Chief Parr was selected as a Department of Homeland Security’s (DHS) Federal Emergency Management Agency (FEMA) Federal Coordinating Officer (FCO). The FCO is designated to lead the Federal Response to an emergency and or disaster declared by the President of the United States. During his 11-year FCO tenure, Mr. Parr led national teams at nearly 40 disasters across 19 states and U.S. territories. Included in Mr. Parr’s FCO experience, he was designated as the FCO for both Hurricane Irene and Tropical Storm Lee (NYS), and Deputy FCO for Hurricane Sandy (NYS), and Deputy FCO for Hurricane Katrina (Tx). As head of LPP Consulting, Mr. Parr leads with the same strength, drive, ethos, experience and commitment as he did during his public service career. His company’s experience includes developing Homeland Security training and exercise programs, security awareness training, and other preparedness activities. LPP Consulting also creates, develops and provides training and mentorship for Fire Department Company and Chief Officer Professionals throughout the United States. 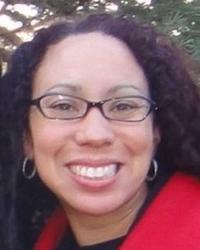 Dr. Michelle Peterson is an Associate Professor in the College of Science and Mathematics at the University of the Virgin Islands. She is the lead on the St. Croix campus for SCI 100: Hurricanes, Volcanoes, Earthquakes, and Tsunamis in the Caribbean. This course, required for most first year students, examines these disasters from the perspectives of multiple scientific disciplines, encompassing how each occurs to their impacts on ecosystems and human infrastructure. Over the course of Peterson’s 19 year involvement with the class, she has developed and refined both lecture and laboratory materials; her current focus is collaboration across campuses to introduce a service learning component to the course. She has a passion for linking science to students’ everyday lives and has also been engaging in education research. Peterson is certified to teach both Hurricane Awareness and Tsunami Awareness. When she is not at UVI, she is often out on the water sailing and racing. Ervin Petty is a retired Emergency Management Specialist II from the State of Alaska Division of Homeland Security and Emergency Management (DHS&EM). There, he served as the State Tsunami Program Manager for over 10 years and was the appointed State EM representative to the National Tsunami Hazard Mitigation Program (NTHMP) Coordinating Committee and was also a member of the NTHMP Mitigation and Education (MES) and Warning Coordination Subcommittees (WCS). 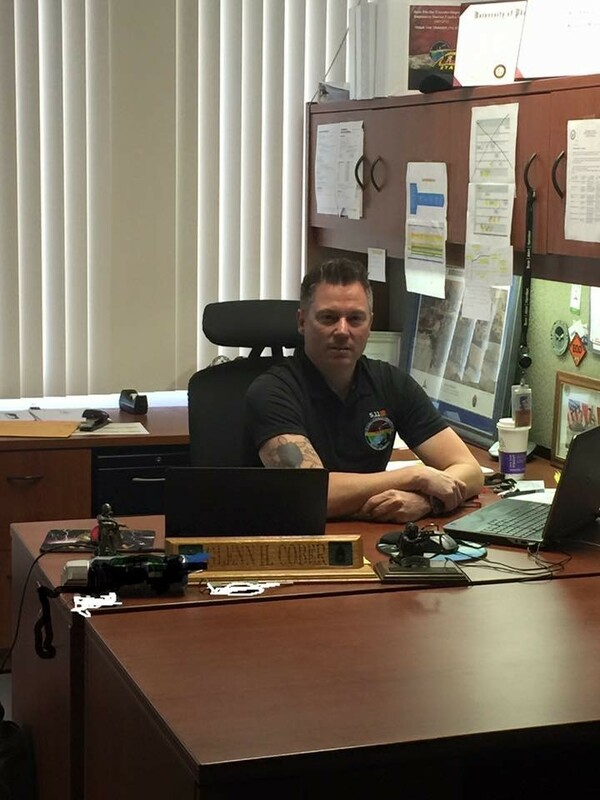 At DHS&EM from 2001-2015, he was a shift supervisor in the State Emergency Operations Center, responded to several Alaska disasters with FEMA, and served as the Local Hazard Mitigation Plan coordinator. He traveled Alaska’s extensive coastline from SE Alaska to the Aleutian chain presenting tsunami readiness training in numerous communities. Ervin served over twenty-three years as a Pararescueman in the USAF where he was a combat aircrew Instructor and Evaluator on both fixed and rotor wing aircraft. Following his Air Force career, he spent six years with an Alaska Survival and Safety company as a lead instructor teaching global survival techniques to numerous Federal, State, local agencies and private industry. Scott is an NDPTC subject matter expert for social media and disasters and NDPTC course instructor, and a FEMA DCSP Digital Communications Specialist reservist. He’s active in the #SMEM (Social Media in Emergency Management) and #VOST (Virtual Operations Support Team) initiatives, is on his local CERT Team and ARES (Amateur Radio Emergency Services) group, and is past president of Oregon VOAD (Voluntary Organizations Active in Disaster). Scott also serves on the IAEM Emerging Technology Committee the Virtual Emergency Management Association board, and the DHS “Virtual Social Media Working Group”. Jeff Rubin is the Emergency Manager for Tualatin Valley Fire & Rescue (TVF&R), Oregon’s largest fire district, where he is responsible for TVF&R’s organizational preparedness, coordinating with member cities, counties, and partner agencies, and managing TVF&R’s Incident Management Teams. He has worked extensively on the Mount Hood Regional Coordination Plan since its inception. Before his time in Oregon, he was a field medic and cross-trained as a call-taker and dispatcher for Austin/Travis County Emergency Medical Services. At Austin EMS he served as a Hazardous Materials Captain and Swiftwater Rescue Instructor in the Special Operations Section, working in mass casualty planning, hazmat/WMD planning, training, and response, and hospital preparedness. He was a volunteer Fire/EMS/Rescue responder and company officer with Travis County (TX) ESD#4 for 13 years, and has consulted in safety and emergency preparedness since the 90s. Jeff has a BS in Geology & Geophysics from Yale and an MA and PhD in Geological Sciences from the University of Texas at Austin, where he was a research scientist and later an Asst. Dean for Environmental Health & Safety. He has presented at numerous national and international conferences, and has published in various geological, medical, safety, and emergency management journals. Jeff is particularly proud that he was able to teach Incident Command for Geologists and Geology for Incident Commanders to separate audiences in the same month. Andrew Rumbach is an Assistant Professor in the Department of Planning and Design at the University of Colorado Denver. He holds a doctorate and a master's degree in City and Regional Planning from Cornell University. For the past 10 years his research has centered on household and community risk and resilience to natural hazards and climate change, in the United States, India, and the Pacific. His current research is focused on community recovery following the September 2013 floods in Colorado, and especially the impact of the floods on households living in affordable housing. Dr. Scala is a certified consulting meteorologist providing expert opinions in criminal and civil litigation on topics ranging from motor vehicle accidents and personal injury to illumination issues, visibility and storm-related damage. He served as The Weather Channel’s Meteorological Training Coordinator and first on-camera Storm Analyst, and more recently as a broadcast meteorologist with WGAL-TV8, the local NBC affiliate in central Pennsylvania. Dr. Scala held a tenure track appointment at Millersville University of Pennsylvania where he also served as the Associate Director of Millersville’s Center for Disaster Research and Education. Dr. Scala holds a B.S. degree in Biology and Geology from the University of Rochester, and M.S. and Ph.D. degrees in Environmental Sciences from the University of Virginia. Dr. Scala began his professional career at NASA’s Goddard Space Flight Center where he focused on the observation, and numerical modeling of storms. Dr. Scala serves on the Steering Committee of the Central PA Integrated Weather Impacts Team and on the Weather Advisory Council of the Event Safety Alliance. He maintains a close working relationship with the National Weather Service by collaborating on research projects to improve operational forecasting and assisting with surveys of tornado and severe storm damage. Dr. Mary Schoenfeldt, is an Emergency Management Professional who has spent her career with people around the world. She works with schools, government, businesses, tribal leaders and communities. She responded to high profile communities such as Littleton Colorado, New Orleans, Haiti and Newtown Connecticut. She traveled to the Sandy Hook Elementary School shooting to work with the school and community. She stayed when her assignment was over to study the impact of a community crisis on Emergency Management and the community as a whole. She values all stakeholders.. young, old, educated, uneducated, professional, lay person. She was recognized by the International Association of Emergency Managers for her emergency preparedness campaign, Who Depends On You? She developed a model of volunteer/professional integration for a large city festival and parade that resulted in a collaborative Incident Command System that acted as a recruiting event for CERT programs and added a sophisticated element of training to all… professional and non professional participants. She has held various positions within activated EOC’s … Deputy EOC Coordinator, Communications Coordinator, Public Information Officer, Section Chief, Mental Health Coordinator, and Recovery Director. Her work has won awards from the International Association of Emergency Managers, she was inducted into the HALL OF FAME of the International Network of Women in Emergency Management, was honored by The International Critical Incident Stress Foundation and is Board President of the Disaster Mental Health agency, Green Cross Academy of Traumatology. Mary volunteers with humanitarian organizations and is active in her Rotary club where she earned the Service Above Self award for not only local but also international projects. Dr. Henry H. Smith is a native of and has spent most of his life in the Virgin Islands where passage of tropical storms and hurricanes is a common occurrence. His formal training in marine and environmental science and hydrology has provided him with the scientific background to fully understand the theory behind the life cycle of these systems. He has been a leader on hurricane preparation and recovery teams and that has given him ample practical experience in preparing for and responding to the effects these systems. Additionally, as a lifelong sailor he has maintained a particular sensitivity to and respect for severe tropical weather. Dr. Smith has spent most of his career as a member of the research faculty and administration at the University of the Virgin Islands. He holds a doctorate degree in Civil Engineering from Colorado State University and a law degree, with a focus on environment a law, from the University of Dayton. Doug Stolz received his PhD in atmospheric science from Colorado State University, where his studies were focused primarily on heavy rainfall, lightning, and the science of severe storms. His experience includes working with the National Weather Service’s Honolulu Forecast Office to detail historical high-impact weather events in the Hawaiian Islands and organizing local severe weather outreach efforts in Colorado’s Front Range community. Doug prides himself on effectively communicating different aspects of the science behind hazards associated weather and climate. Previously, he served as an Instructor for the Ohio Emergency Management Agency and a Program Officer-4 for the Cuyahoga County Office of Emergency Management overseeing all Training/Outreach/Education/Exercises for Public Safety & Justice Services, Deputy Fire Chief at North Randall Fire and Bazetta Fire. In September/October 2017, Kevin was deployed with FEMA for the Hurricane Irma response as the PIO responsible for the entire Florida Keys leading FEMA’s External Affairs for Branch 5 Division A. In November/December 2017, Kevin was deployed with FEMA for the Hurricane Maria response/recovery as the FEMA PIO responsible for the US Virgin Islands Branch 1 – Division A and Division B.
Mr. Tab Troxler is an accomplished Homeland Security and Emergency Management professional with experience in both the public and private sector. As a former Emergency Services and Security Manager for the Dow Chemical Company, Mr. Troxler was responsible for the overall emergency management and response program for the site’s 2000 acre petrochemical manufacturing complex in Hahnville LA. In addition to his duties and responsibilities at the site, Mr. Troxler was a member of the Dow Gulf-Coast Hurricane team, as well as, the Global Exercise and Plans Team. Mr. Troxler’s international assignments included responding as the Incident Commander for the Dow Soma Site in Japan following the earthquake and tsunami in 2011. Previously, he served as the St. Charles Parish Director of Homeland Security and Emergency Preparedness where he lead the parish's response and recovery to Hurricane Katrina in 2005. As a former Senior Instructor with Louisiana State University’s, National Center for Biomedical Research and Training, Academy of Counter-terrorist Education, he has been on several development teams for national training programs in Computer Aided Management of Emergency Operations, Response to Weapons of Mass Destruction Cargo, Readiness: Training Identification Preparedness Training, and Food Management. He’s developed and facilitated several large scale exercises internationally and domestically on behalf Louisiana State University. 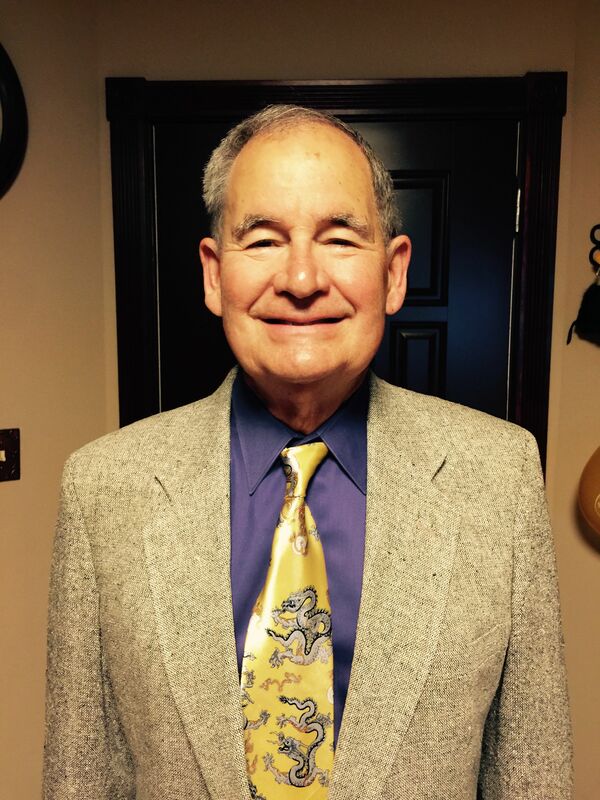 He currently is the elected parish Assessor in St. Charles Parish Louisiana. He received a Bachelor of Arts from Tulane University New Orleans, LA. A native of St. Thomas, Virgin Islands, Roy A. Watlington is retired from the University of the Virgin Islands (UVI) after 40 years in higher education as professor of physics and physical oceanography, researcher and administrator. As Principal Investigator of UVI’s Anegada Climate Tracers Study, he researched the exchange of climatic signals in seawater between the Atlantic and the Caribbean. He was a co-founder of the Caribbean Regional Association for the Caribbean Integrated Coastal Ocean Observing System and now serves an elected member of its Stakeholders’ Council, as a consultant for outreach in the US Virgin Islands, and as subject matter expert on coastal hazards. Present activities include advancing ocean observing capabilities and promoting their practical use in the Virgin Islands region, advising emergency managers about natural coastal hazards, and promoting regional awareness of such hazards. He has authored refereed papers related to these activities, such as on the charting of Kick-`em-Jenny submarine volcano and on anticipating impacts of a recurrence of an 1867-class tsunami. He is also co-author of Disaster and Disruption in 1867; Hurricane, Earthquake and Tsunami in the Danish West Indies. Steve Wood recently retired as an Operations Battalion Chief from the Brea and Fullerton Fire Departments located within Orange County, California after 30 years in the fire service. He has extensive experience in fire, rescue, emergency medical systems, emergency management, special operations (Urban Search & Rescue, Swift Water Rescue and Haz Mat), and selected to be a member of the California FIRESCOPE High Rise Working Committee. Steve was the United States Department of Homeland Security’s Metropolitan Medical Response System (MMRS) Program Officer for the City of Glendale, California, coordinating citywide, county, state and federal response and preplanning for chemical, radiological, nuclear or biological terrorism incidents. Steve was active with the California MMRS Cities Coalition (18 of the largest cities within California), assisted with development and authoring of the first California Professional Firefighters Joint Apprenticeship Committee (CFF-JAC) – Terrorism Consequence Management Course, in addition to planning, implementing and evaluating a variety of chemical-biological-nuclear response tabletop and functional exercises. Steve has spoken nationally on Weapons of Mass Destruction (WMD), Swiftwater Rescue, Emergency Planning and Incident Management. Nora is currently the Emergency Program Manager for the Port of Portland at the Portland International Airport. Nora has local and regional emergency management experience spanning over 13 years. Her overall work experience spans several disciplines, all of which have contributed to her current work in Emergency Management. Early in her career, she worked as an archaeologist and researcher for University of Nevada at Las Vegas and Desert Research Institute. This experience has provided for solid research techniques, grant management and experience working with various levels of government. As a Ground Operations Manager for a major airline, Nora has handled multiple emergencies, fatalities and situations requiring a quick and accurate response. Additionally, Nora was proactive applying a variety of preparedness and mitigation measures to ensure continuity of operations for the airline. Nora’s twelve years of experience in Emergency Management include a variety of planning efforts including continuity of operations, dam failure, mass fatality, evacuation, emergency fuel planning and recovery. In her current role Nora is tasked with developing the Emergency Operations Center (EOC) program, recruiting and training leadership and staff, managing a variety of homeland security grant programs, developing and conducting a variety of training and exercises. Nora holds a BA in Anthropology, an MS in Crisis and Emergency Management, Oregon Certified Medicolegal Death Investigator (OCMDI) and is a Certified Emergency Manager (CEM).